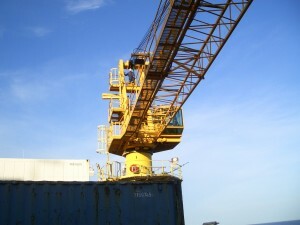 Wolf Offshore can provide your facility with the required annual and six monthly crane inspections. The crane inspections are performed by “Certified Crane Inspectors” all of whom are experienced in crane inspection and testing and have successfully passed all certification exams. These thoroughly trained, tested and qualified inspectors evaluate all crane components and will complete a detailed report of they findings, we will also give recommendations for any items which may be identified as requiring remedial action.